Set on a private 3 acre landscaped garden, with dramatic views of the world famous Knysna Heads, is the St James, one of the finest Five Star Country House Hotels on the Garden Route. Attention to detail is the order of the day at St James with the highest standard of service. Guests simply relax and make the most of the many facilities available. 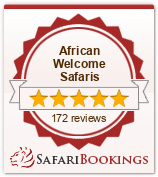 This Hotel has earned its place amongst the Leading Independent Hotels of Southern Africa. The St James is in the heart of the Garden Route directly on the shores of the famous Knysna Lagoon (the largest natural Estuary in South Africa) well known for its abundant marine, plant and bird life. The Hotel is located within a short distance from the town centre of this quaint historical seaside village and is nestled in the foothills of the Outeniqua Mountains. The hotel boasts a superb dining room and well stocked wine cellar. Country style breakfasts, light lunches, teas and snacks are also served on the various patios and terraces. The Paquita Bar, with its lagoon facing patio is a warm and friendly meeting place. The spectacular and panoramic views of Knysna and the lagoon can be experienced whilst exquisite cuisine is served in the candlelit dining room. Guest can then relax and unwind in front of a crackling log fire in the main lounge whilst savouring a fine port from the hotel’s cellar.